“Forever with the Lord”. With this musical wish, the Youth Symphony Orchestra of the New Apostolic Church Argentina tunes us into the divine service for the departed on Sunday. The well-known hymn, arranged by Reinhard Ober and Ralph Kallenbach, was performed on 14 October 2018 in our central church in Buenos Aires. 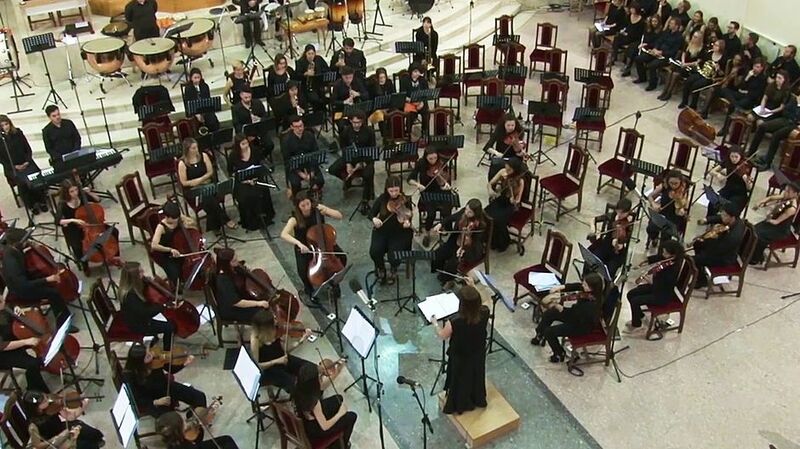 Together with their musician friends from Switzerland, the Argentinian youth orchestra gave a concert there. The nearly 50 Europeans were in south America for ten days. More than a thousand people followed the performance live, while thousands of others watched it on the Internet.